ormed by two upholstered oblong shapes and underpinned by a lightweight, minimalist frame, the Oblong two-seater sofa balances simplicity and style. Oblong’s upholstered seat and backrest provide the supersize comfort of a lounger, while being lighter and sleeker than an overstuffed seat. The sofa’s fluid form and geometric profile resemble shapes more typical of contemporary art than furniture design. The sofa was designed with an open base that allows light to pass through, enabling Oblong to fill the space without appearing to crowd it. 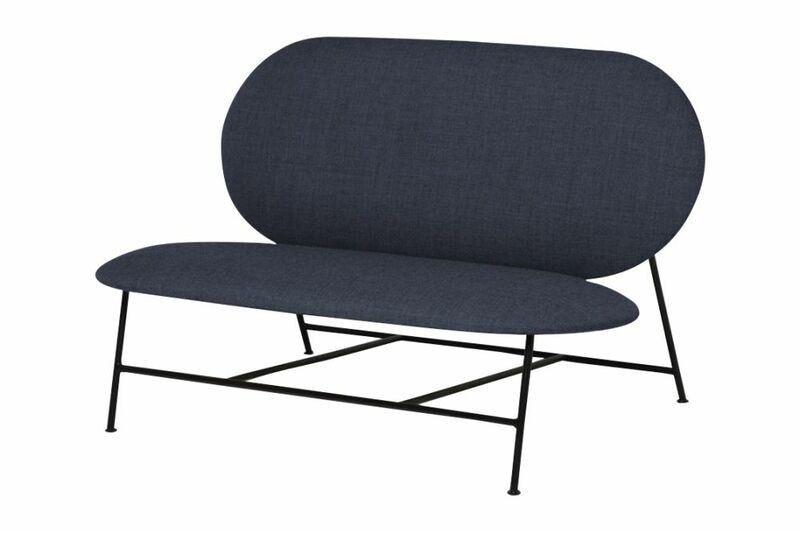 Although lightweight and comfortable, the sofa’s frame forms a stable base that holds it firmly in place.